Works faster and stays in air longer. Half the size of ordinary refills, but twice the odor-fighting power. 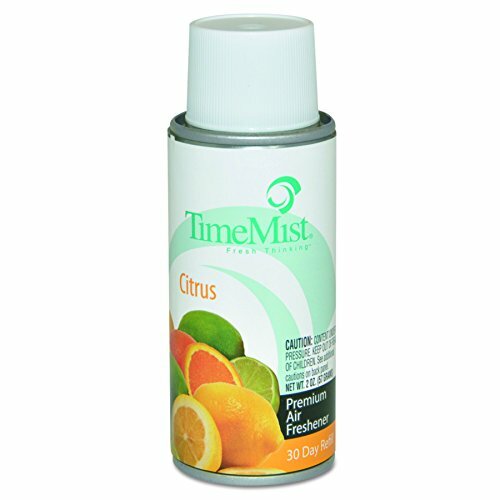 For use in Time Mist Micro Ultra Metered Aerosol, Time Mist Classic Series and Time Mist Settings Micro dispensers, all sold separately. Refill is perfectly sized for pockets, purses, desktops; 15- to 45-day refill (depending on spray interval setting). If you have any questions about this product by Timemist, contact us by completing and submitting the form below. If you are looking for a specif part number, please include it with your message.